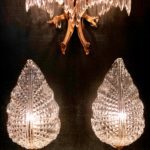 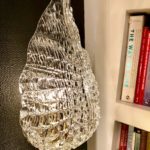 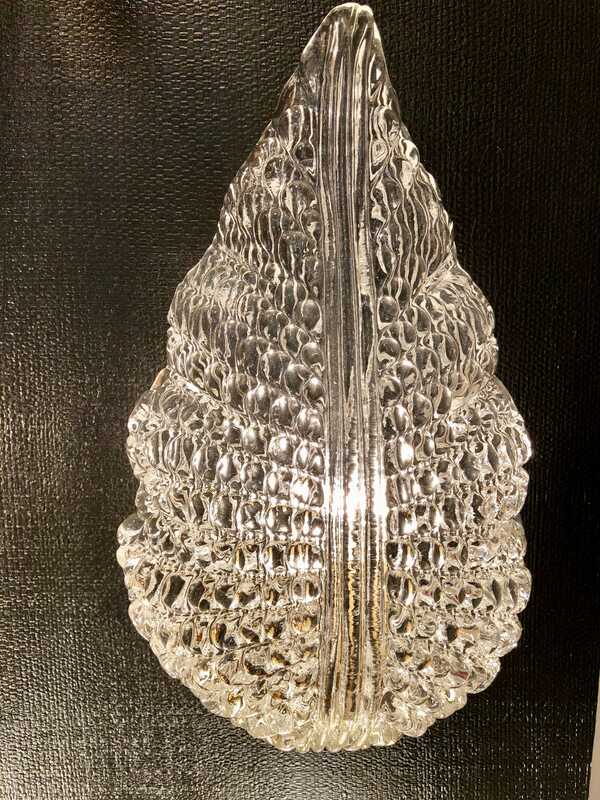 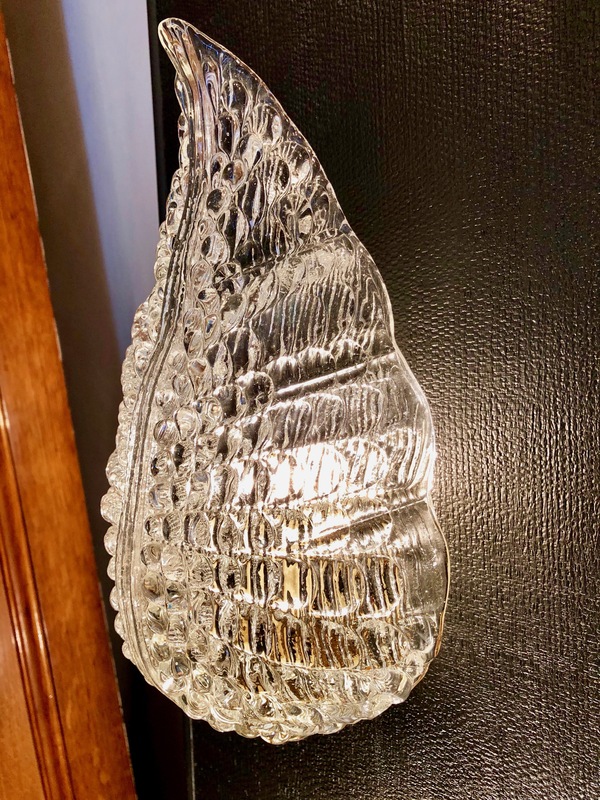 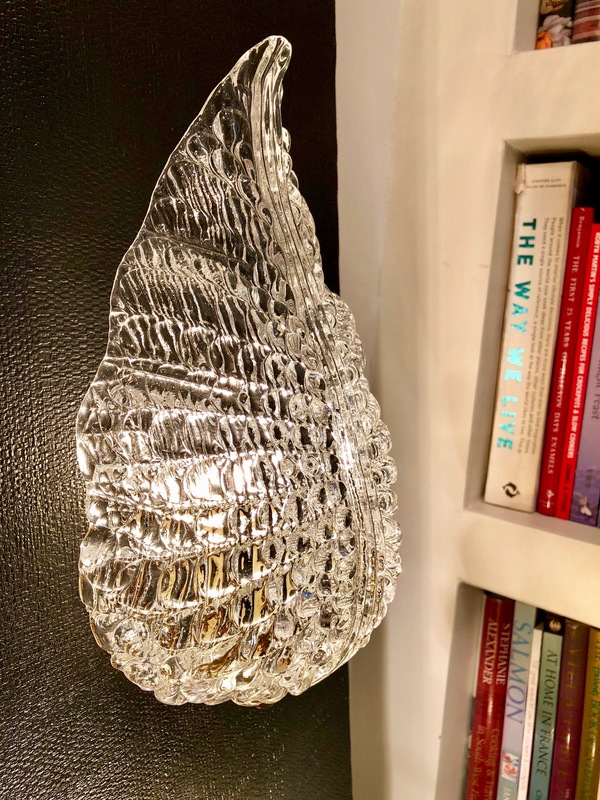 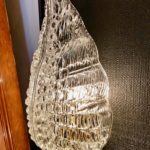 A pair of mid century Art deco inspired Murano hand blown clear glass leaf wall sconces supported on brass back plates. 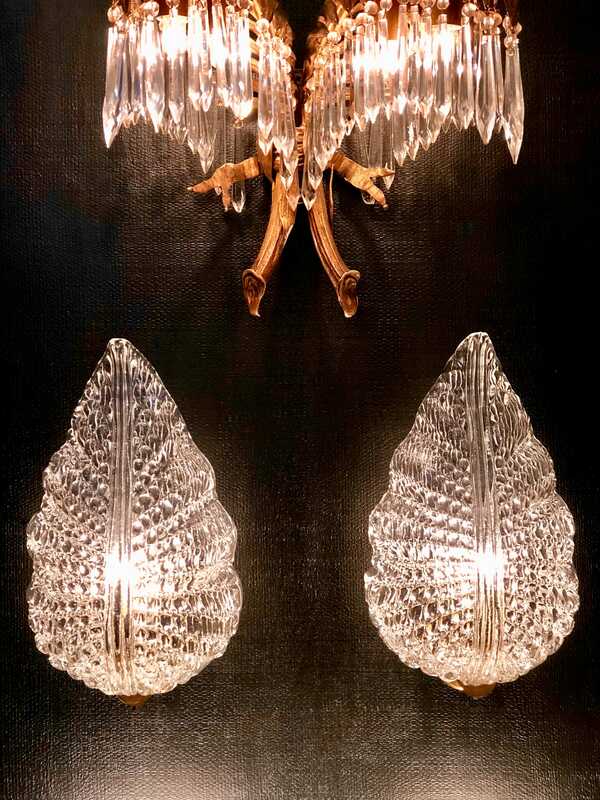 An ideal pair for a powder room. 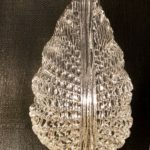 The sconces have been re wired to NZ standards.